Ungulates. 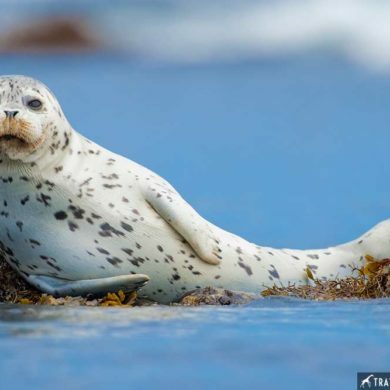 The most boring animals on earth. All they do is stand around and chew their cud. 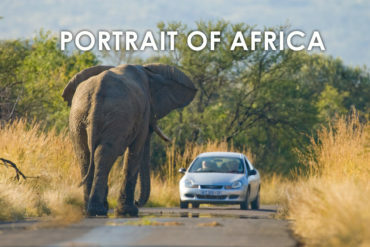 OK maybe there are a few cool ones in Africa. Hippos, rhinos, giraffes. But surely nothing of interest on my side of the globe, right? And definitely not in my own country, my own back yard. I used to think this way. 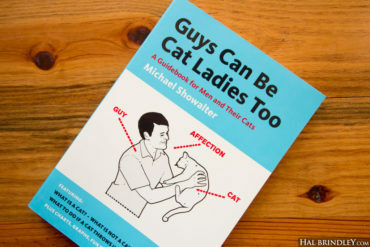 Me, an animal lover. Glossing over the grazing animals. Then I took a trip to Yellowstone and began ruminating on ruminants. Hmmmm… (insert cud chewing sounds) … maybe there’s more to this than I thought. 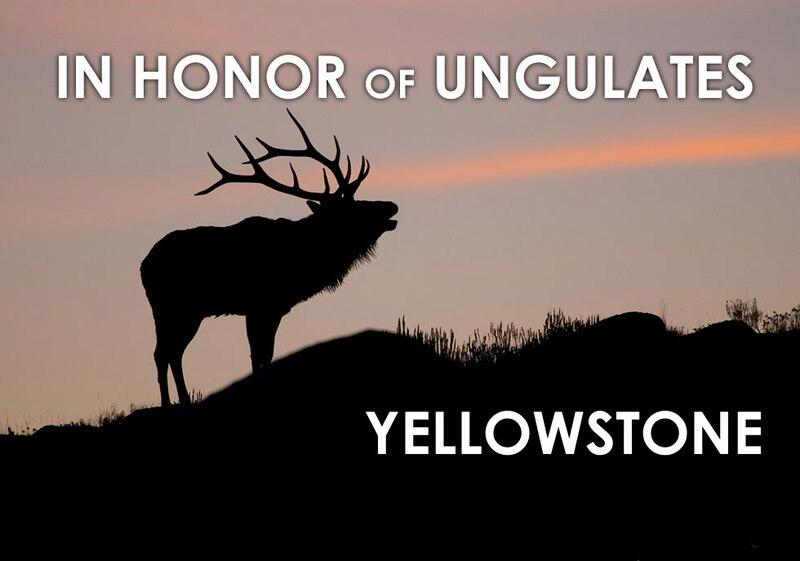 When I began to see the incredible diversity and beauty of ungulates (and I began to be able to tell them apart) I found myself strangely appreciative of them. See for yourself. 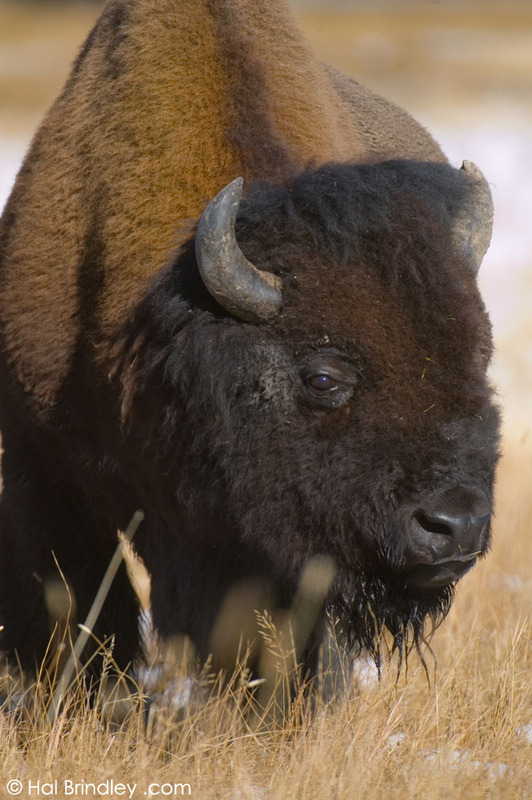 This is a bison. His name is Arthur (at least he looked like an Arthur to me.) 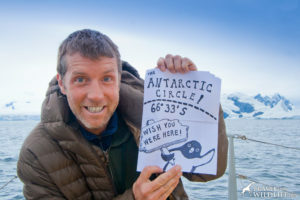 He lives in Yellowstone National Park in Wyoming. Most people call it a Buffalo. This name is so accepted that there are foods, professional sport teams and even cities named after it. But once you become a bio-snob (like I aspire to be) you start calling it by it’s “proper” name. The Bison. 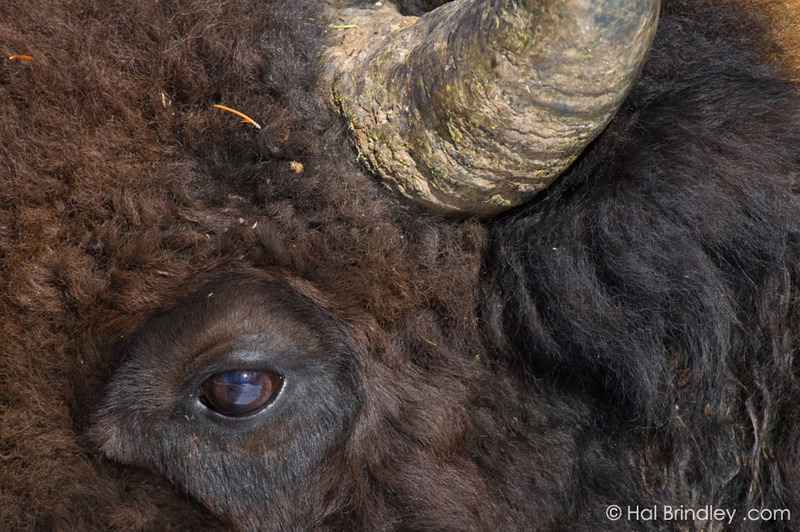 There is one undeniably cool fact about the Bison. These guys weigh a ton. No, literally. 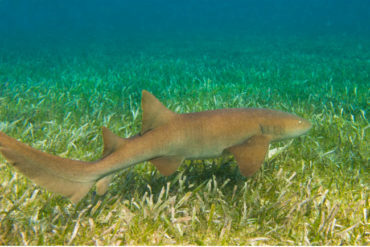 They can weigh upwards of 2,000 pounds. You could fit 22 Mary-Kate Olsens into one Bison, that’s how big they are. In fact, this shaggy behemoth is the largest land animal in the western hemisphere, bar none. Bison seem pretty tough. Here they dine lazily in the middle of a blizzard, on grasses buried beneath a foot of snow. 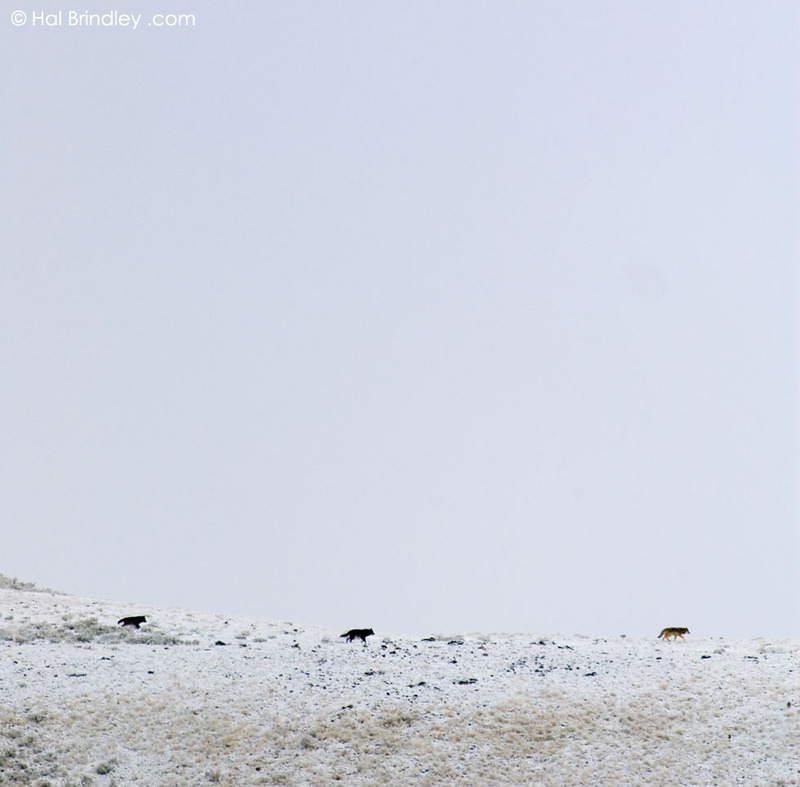 The three I didn’t see are the White-tailed Deer, Peccary (see southwest story), and Caribou. The bad news is, bison aren’t so tough at all. When the White Man (my ancestors) began wandering across America in the 1700’s it probably looked something like this photo. Bison everywhere. Bison are excellent swimmers. 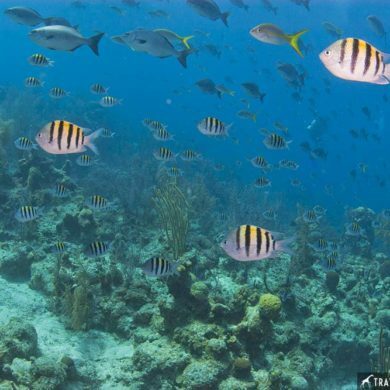 They are so buoyant that their head and hump remain well above water. 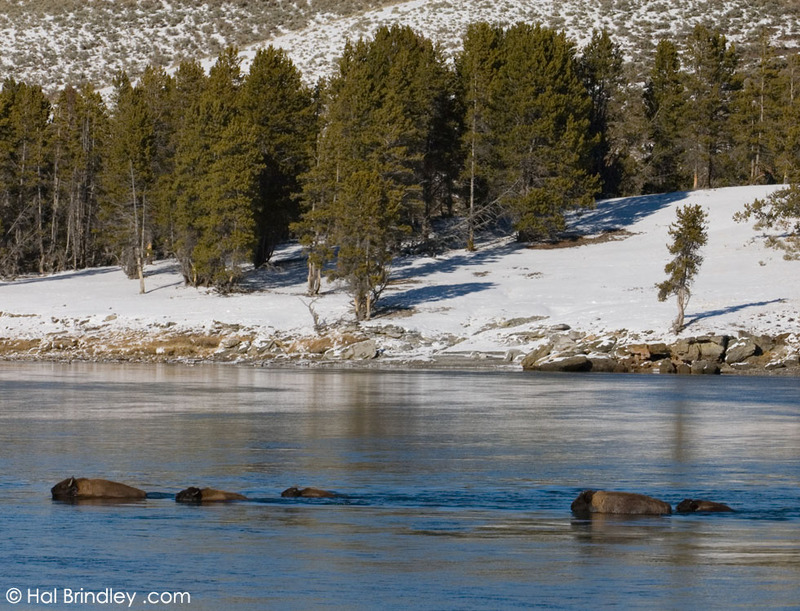 Here they are swimming across the Yellowstone River. 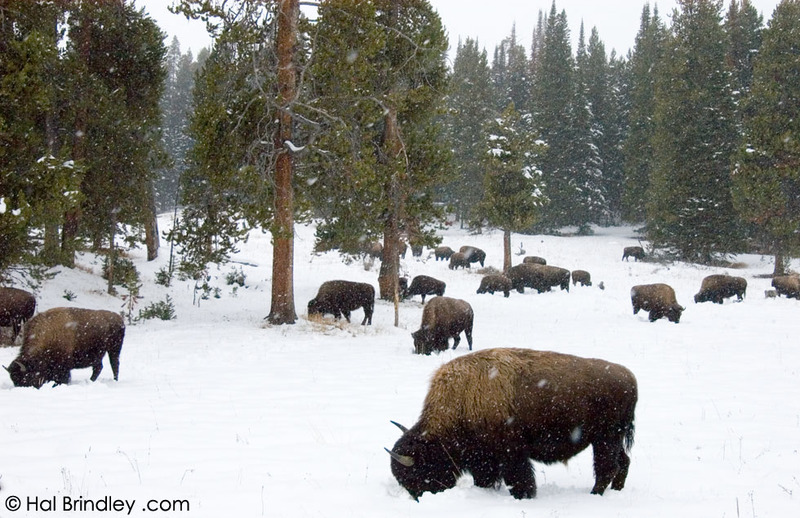 Sadly, the Yellowstone bison are the only free-roaming, unmanaged, truly wild bison herds in the United States. The odd-toed species consist only of the horse-types (one toe), and the rhinos and tapirs (three toes), none of which occur in the United States. All the rest are even-toed, including our friend, the bison (he has two). Most hoofed mammals have one thing in common, spectacular head gear. 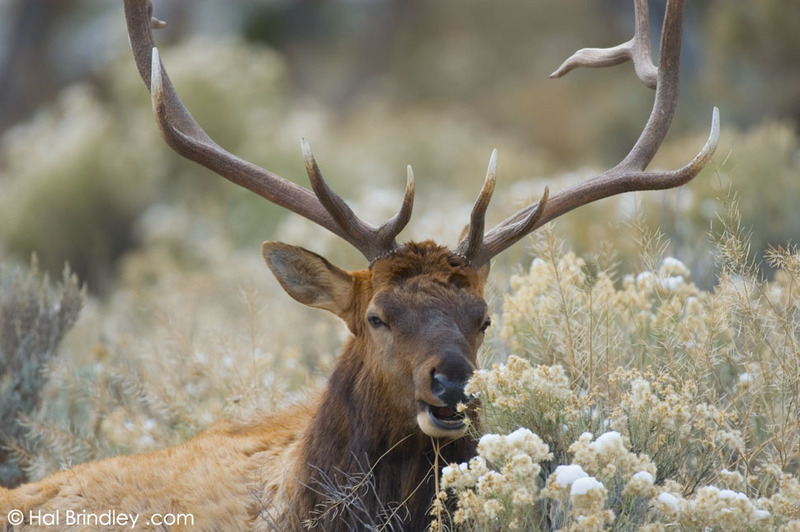 The male elk, for example, has a ridiculously large set of antlers. This fellow is also displaying the attractive habit of cud-chewing. Doesn’t it seem like an incredible waste of energy to regrow such large appendages every year only to leave them littering your lawn the following spring? 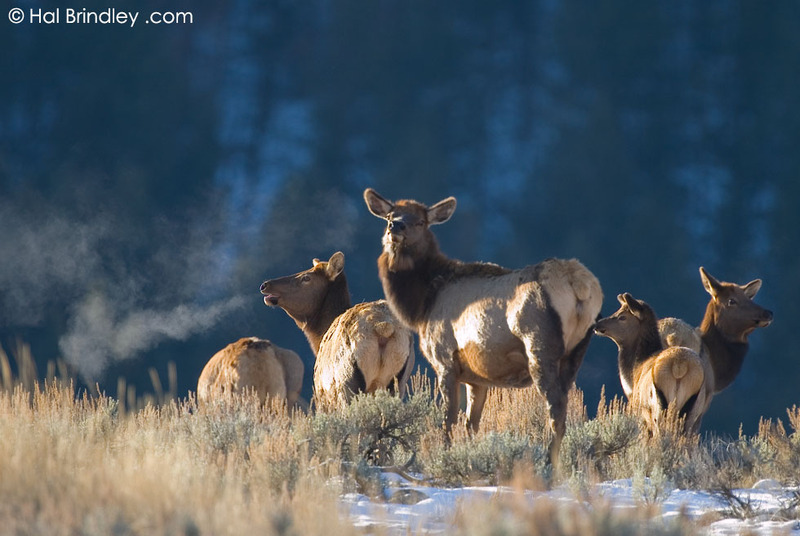 These female elk and their young are not smoking, just breathing into the freezing morning air of a November day in Yellowstone. It is a bit more complicated than that but that’s the gist of it. It is a truly efficient system of extracting nutrients from a fibrous food source that most other animals wouldn’t know what to do with, namely grasses and leaves. Rumination is a cool system, in spite of the constant barfing. An animal can gulp down large amounts of food in a hurry while out in the open (and in danger of being attacked by predators) then go sit and relax and chew it in a safe place. 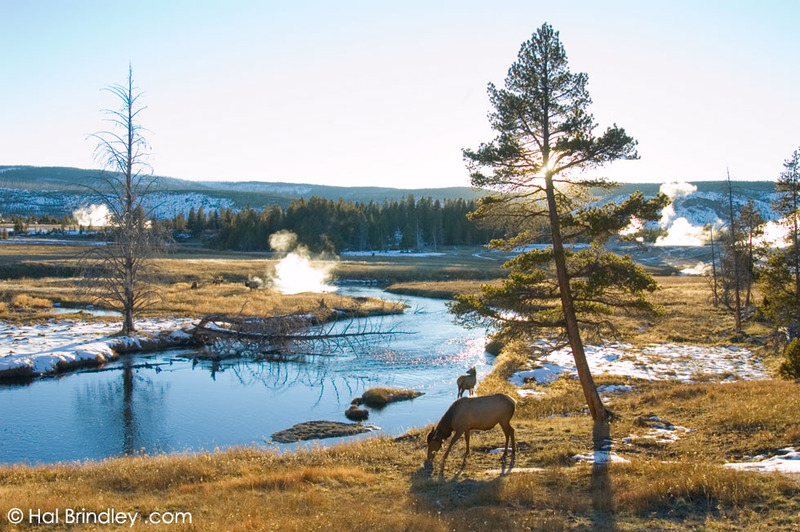 These elk are gulping down their food in the lower geyser basin, the most concentrated area of geothermal geyser activity in the world. (at least 5 geysers are visibly steaming in this photo). 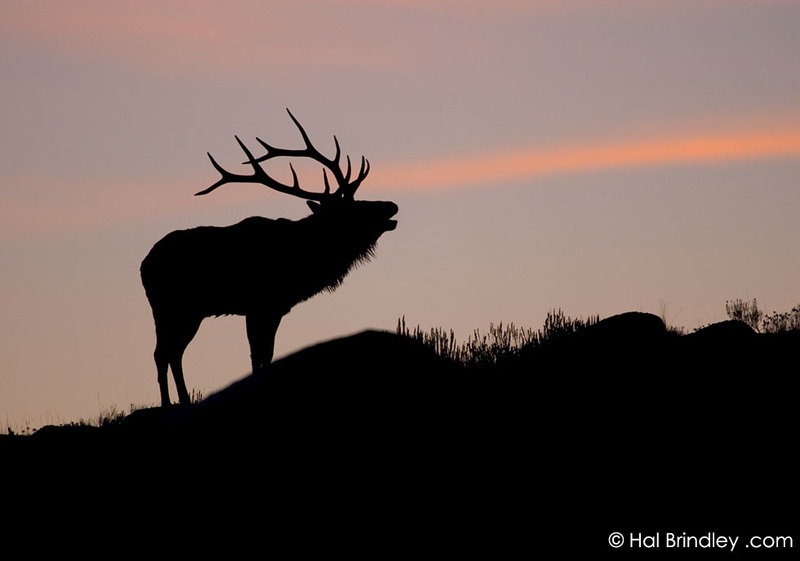 The bugle of a male elk is unlike any sound I’ve ever heard. It’s kind of like the sound my brakes make when they’re not working very well. 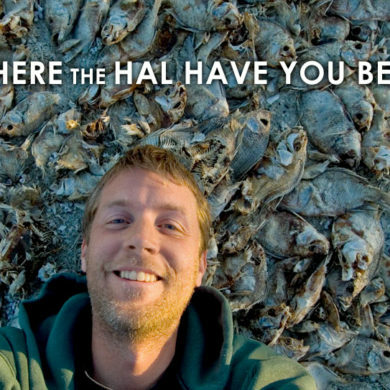 It’s even more like the songs of a humpback whale. It is long and screechy and whistly and mixed with deep bellows and grunts. It is an eerie, unnatural sound to hear coming out of the darkness before sunrise. 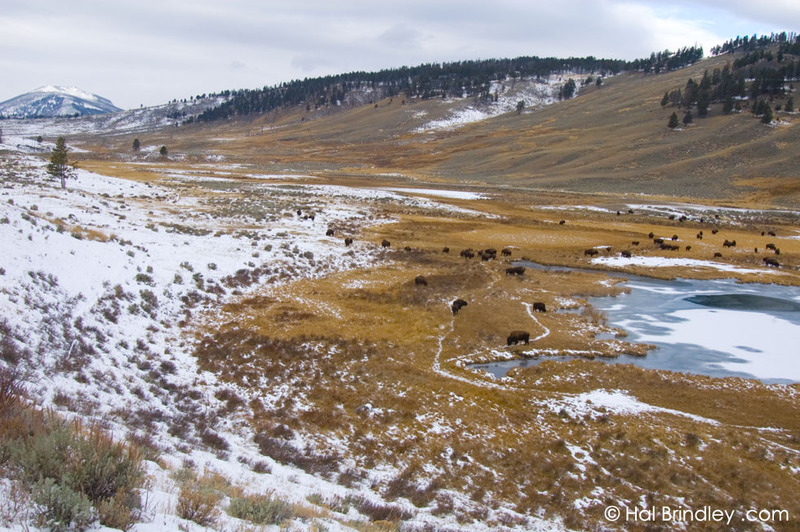 While in Yellowstone I heard that a recent study determined the primary cause of death among young elk in the park was predation by grizzly bears. This statement is really just a cheap ploy to justify using this photo because it happens to be the first grizzly I’ve ever seen in my life. I’m not proud. Woo Hoo! Grizzly Bear! Yeah, that little brown blob in the lower right corner! Grizzly Bear, buddy! Yeah baby! Out of the 40 or so species of deer worldwide, the moose is the undisputed heavy weight champion. At 1,750 pounds it is more than 100 times the weight of the smallest deer species (the tiny Southern Pudu of South America weighing in at 17 pounds). This is a young male because its antlers are embarrassingly small. Like most deer, a male’s antlers will grow larger and larger each year until it reaches sexual maturity. 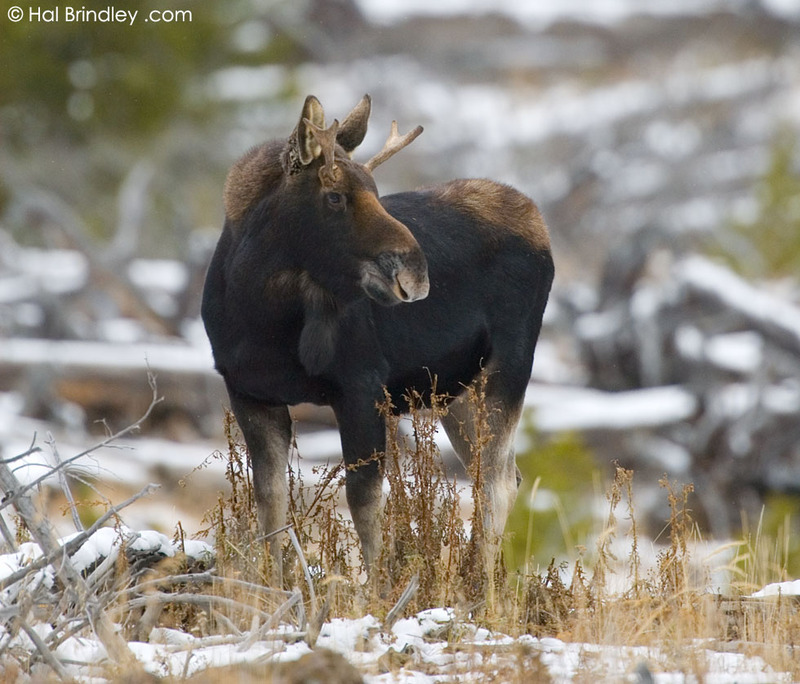 On occasion, a pair of moose antlers can grow to span over 6 feet and weigh 65 pounds. Dang. If you are an east-coaster like me you will probably assume this is a White-tailed Deer because it is the only hoofed animal most of us ever see in the wild. But this is actually a different species that lives exclusively out west. It’s called a Mule Deer. You can use their names as a clue to some of the differences between the two. The Mule Deer is named for its exceptionally large, mule-like ears (larger than the white-tailed). 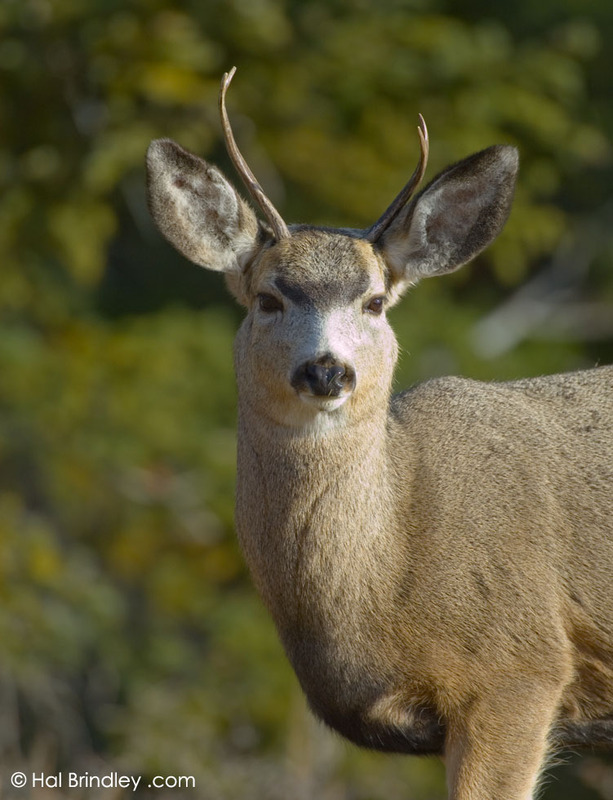 The White-tailed is named for the underside of its tail which is entirely white, while the Mule Deer’s has a black tip. The third difference becomes obvious when you see them running. Mule Deer run with a stiff-legged, pogo-stick sort of bouncy style. This looks pretty silly to us smug east coasters who are used to the fluid grace of the white-tailed. 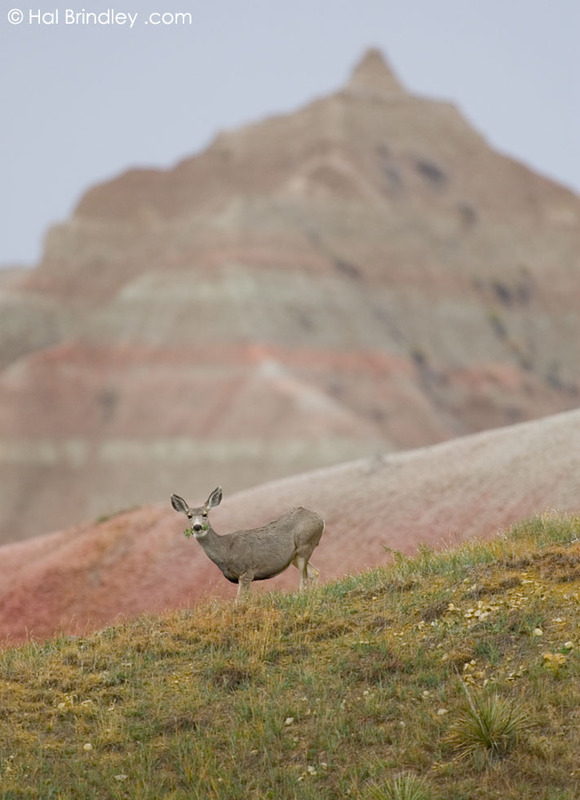 This mule deer is posing for me in Badlands National Park, South Dakota. Several species have both tusks and antlers. What I’m getting at here is that there are a lot of fascinating creatures in the deer family. This is a male Bighorn Sheep. 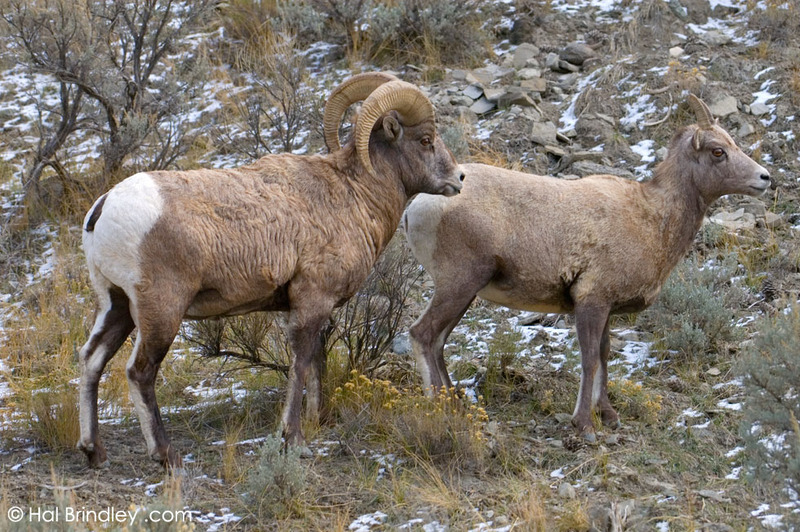 Try to imagine what life is like for a bighorn. Say you’re at a bar trying to impress a lady. Things are going pretty well, you’re sniffing her urine to see if she’s sexually receptive (as shown here) and everything looks pretty cool. She’s digging you. Then along comes this other dude. He’s big, and he’s making eyes at your new gal. What do you do? You say “You and me buddy. Outside. Now.” You both hop on your mountain bikes, put on your big Kmart helmets, and skid to a stop in jousting position. Suddenly you pedal toward each other as fast as you can (roughly 20 miles per hour). You lean your head down forward over the handle bars and brace yourself. The second before impact you think, “how do I keep getting myself into this mess?” CRACK. 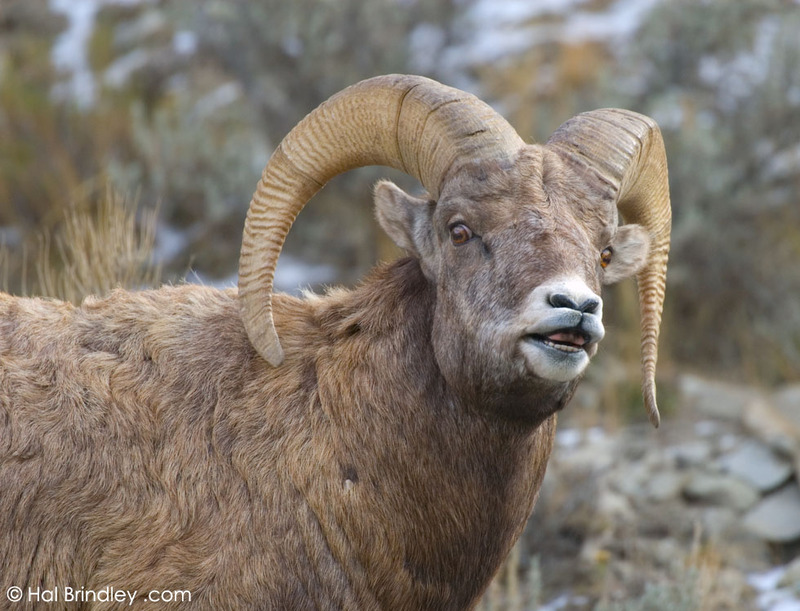 If you look closely you’ll see the tip of this ram’s tongue flicking out of his mouth. He followed this ewe around for half an hour while I watched. 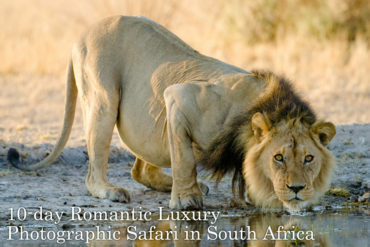 Tipping his head back and forth, flicking his tongue in and out, and sampling her urine, to see if she was ready to mate. Seems like a pretty handy device that could prevent all sorts of uncomfortable situations. Bighorns are excellent mountain climbers. They have hooves that are hard at the outer edges and spongy in the center to provide traction on slippery rocks. 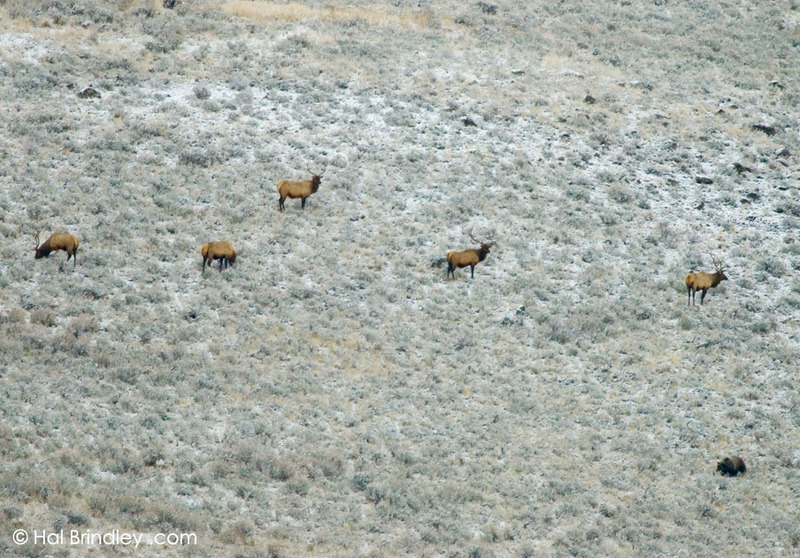 You never know in what remote and inaccessible spot you might find a herd of bighorn sheep. 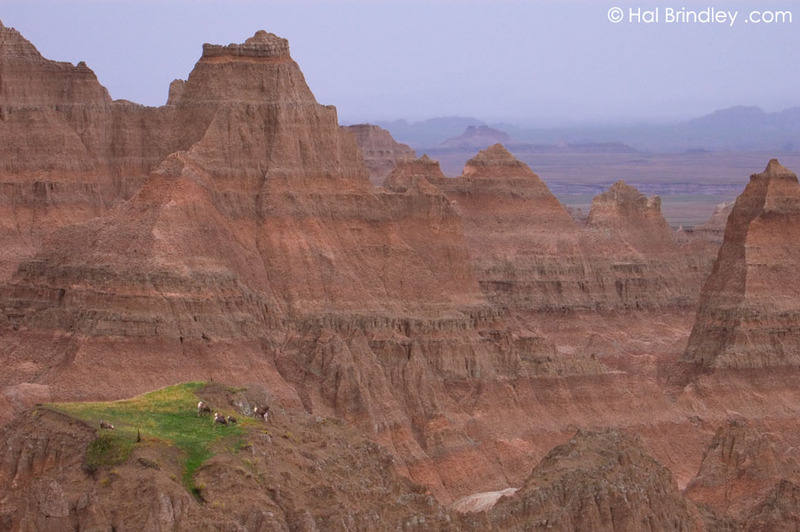 For example, in this tiny grass meadow high in the vast canyons of Badlands, South Dakota. 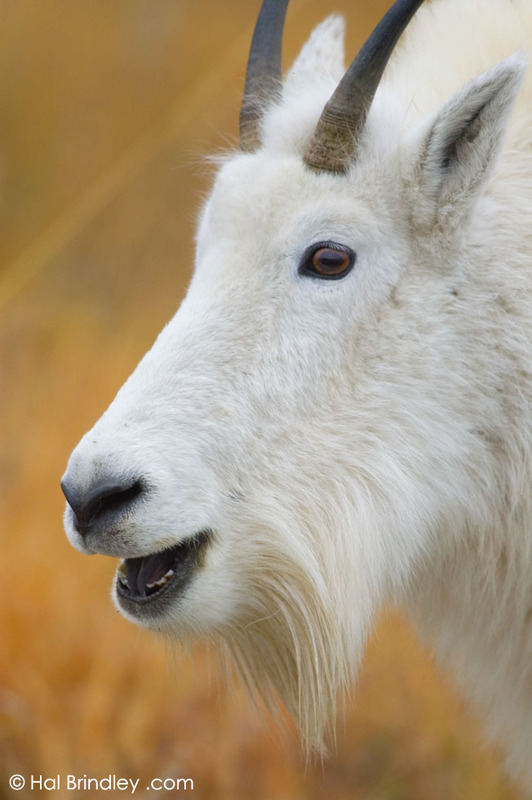 Though bighorn sheep are excellent climbers, it is the Mountain Goat that is the true champion. They spend most of their lives bouncing around on the steepest and deadliest of cliffs. 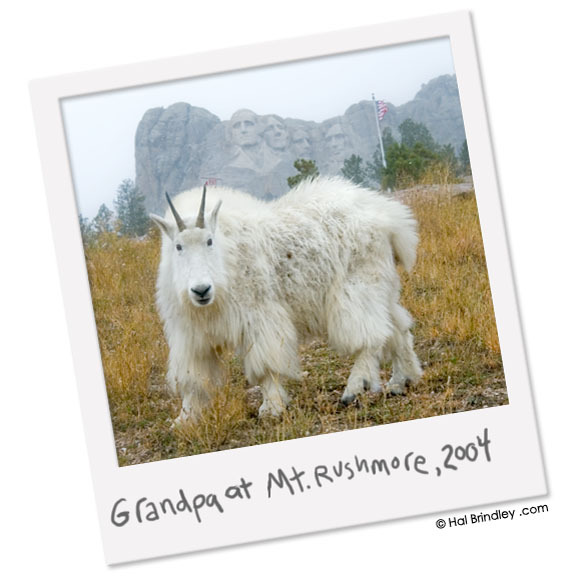 I photographed this mountain goat near Mount Rushmore in South Dakota. 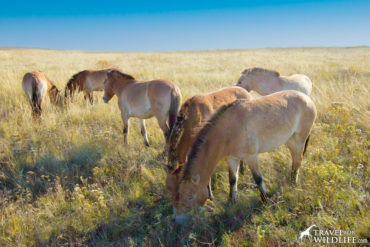 They are not actually native to the area but are thought to have descended from an escaped herd given to Custer State Park in 1924 as a gift from Canada. Mountain Goats do occur naturally in other areas of the United States such as the northern Rocky Mountains and parts of Washington state. I’d always dreamed of seeing mountain goats. They are such strange, shaggy, bulky, snow-white beasts.This was a real treat for me. If the abominable snowman was an ungulate, he’d be a mountain goat. And if Mountain Goats took tourist photos, this is what they would look like. Cow, pig, goat, sheep. 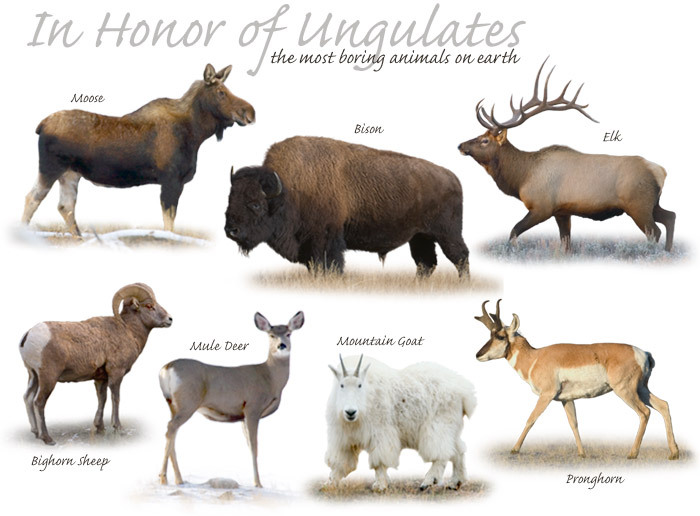 All ungulates. Domesticated versions of once wild creatures. 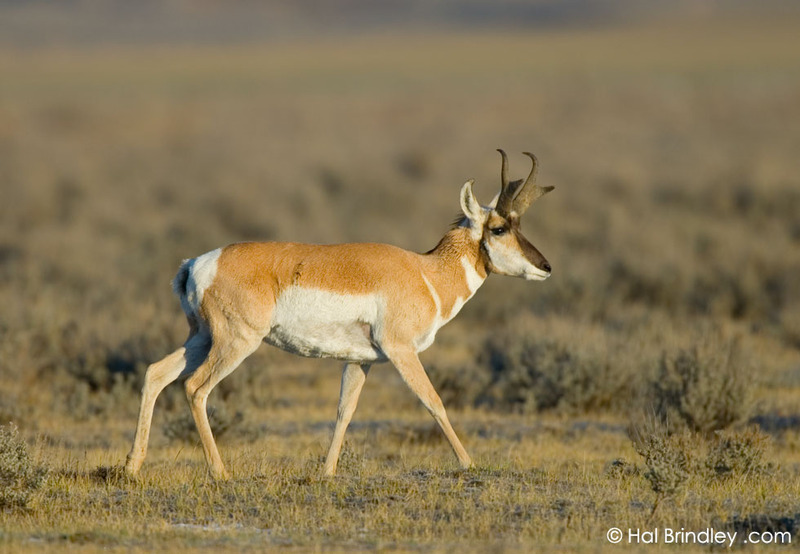 The Pronghorn is the fastest land animal in the Western Hemisphere and is considered to be the second fastest in the entire world after the cheetah. Some accounts say it can run at speeds of up to 70 miles per hour. That’s faster than I usually drive. I shot this one in eastern Wyoming where they seemed to be everywhere. Therefore the Pronghorn is a very special creature. In fact, it is so special it has been assigned its very own family among ungulates (called Antilocapridae). It is the last remaining member of an ancient lineage. 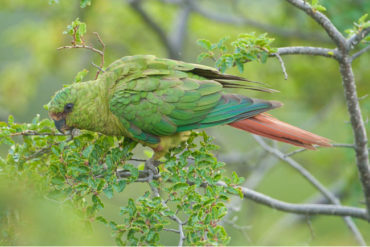 Several other species once existed but are now extinct. 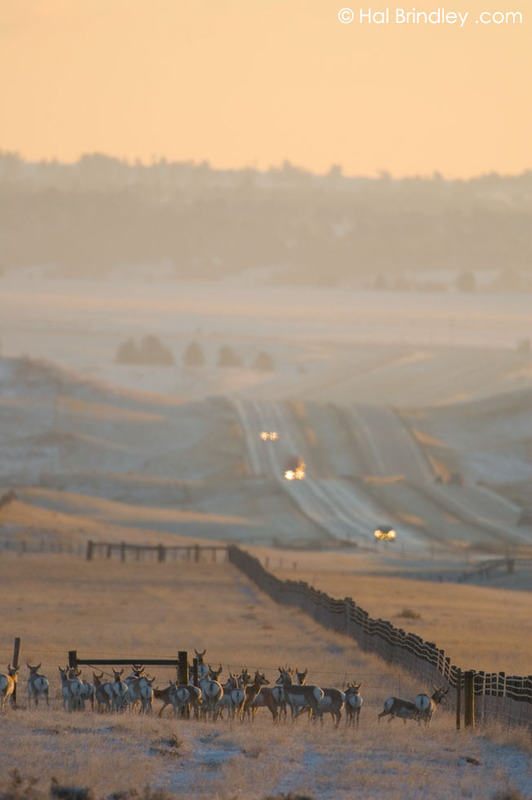 Driving along the highway in Wyoming, you might think they were domesticated animals. They’re always inside fenced-in pastures. But no, these are wild, free-roaming creatures. You might then assume they must be astounding jumpers, like white-tailed deer. Well, they are capable jumpers but that’s not how they do it. They just wriggle their bodies through the barbed wire fences. I saw the herd in this photo pass through a fence in this very manner. 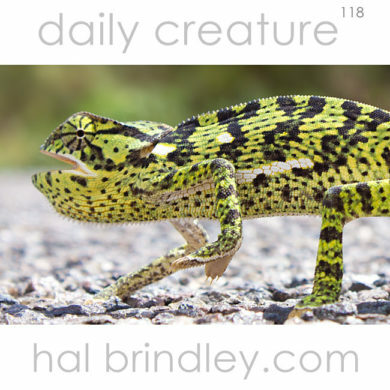 Some speculate that the evolutionary reasoning behind this behavior is that there have never been vertical obstacles to deal with in the open plains. 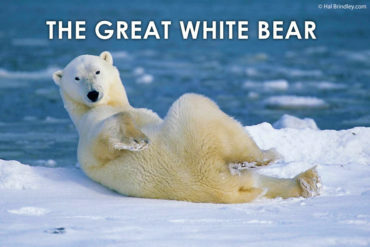 Ladies and gentlemen, that concludes my lesson on the most boring animals on earth. Well, I guess you earned it. Here are a few shots of the critters everyone is really dying to see when they go to Yellowstone. 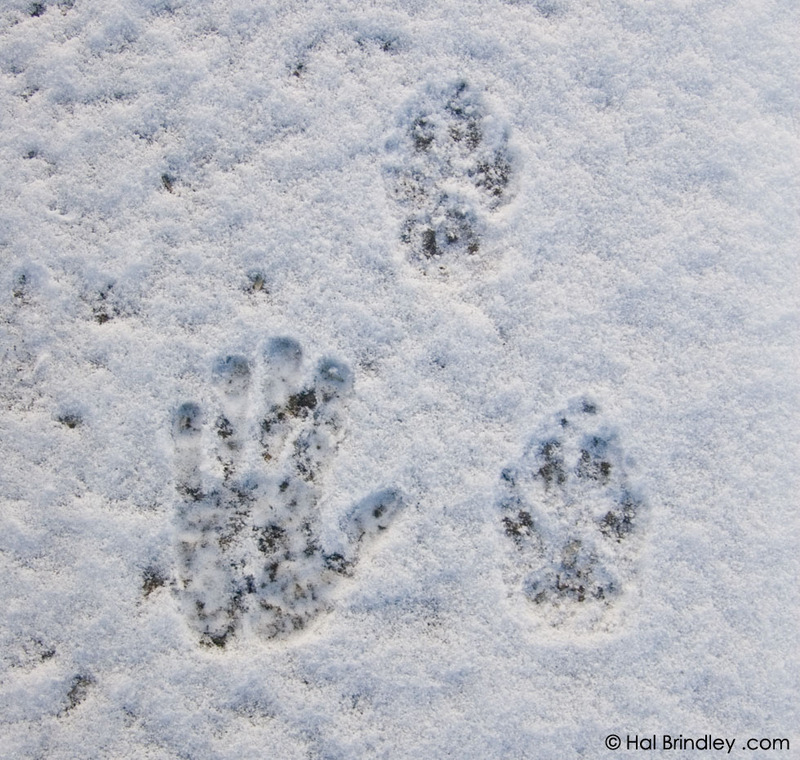 Who do you suppose made these massive dog-like foot prints, nearly as big as my hand? None other than the superstar of Yellowstone.The Wolf. 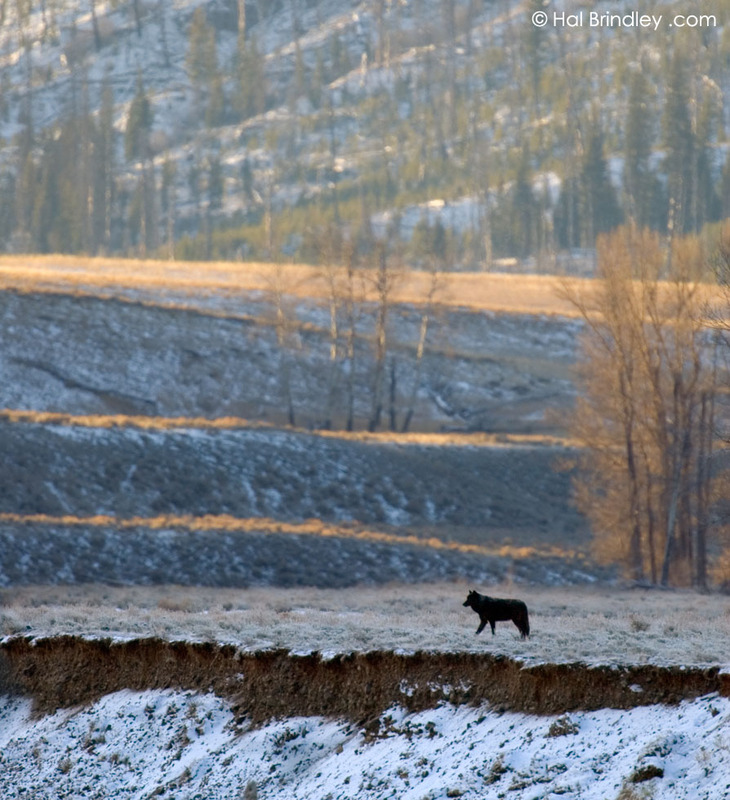 Here a lone black wolf, the new alpha male of the Druid Pack, looks out over a river bed at sunrise. This is the first time I ever encountered wolves in the wild.It was amazing to see a pack running with liquid speed across the frozen valley. To hear them howling in the distance. To see them frolicking together. It was unlike anything I’ve ever seen and yet strangely familiar. Perhaps because all domestic dogs are descended from wolves. I never got very close to the wolves. Or rather, they never got very close to me. But I saw them on four different occasions. It wasn’t too difficult, just look for the bright yellow SUV or the blue pickup. They contain researchers named Rick and Emily with radio antennas scanning for radio-collared wolves. People fall all over themselves to see a wolf. And I don’t blame them. They are pretty cool. 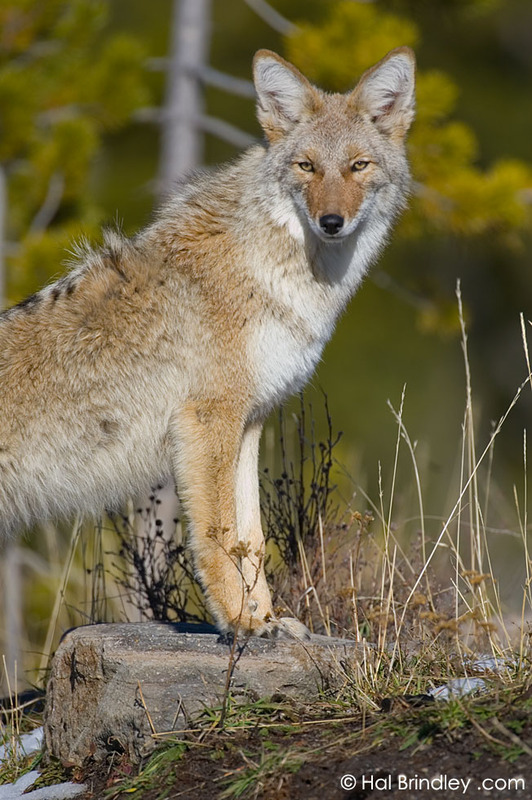 Coyotes get a bad rap. Like rats, or pigeons, or cockroaches. They are survivors. And I think they are beautiful and full of character. 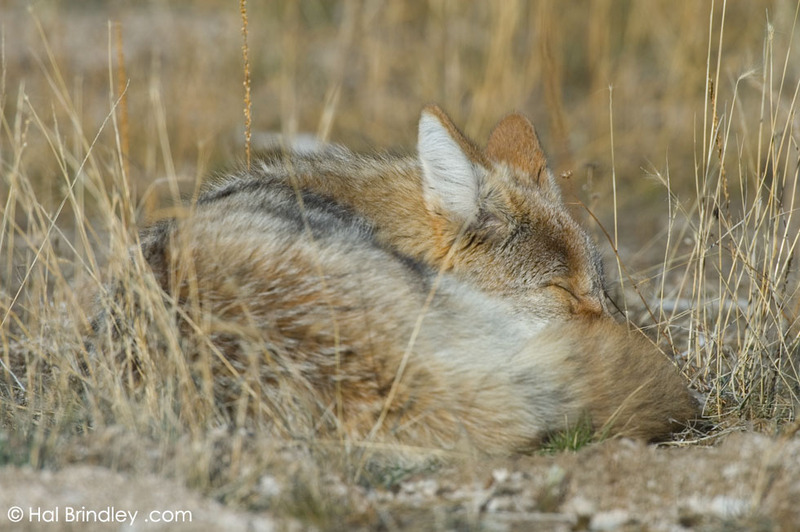 The rest of this update is all coyotes, just a few of the dozens of awesome photos I shot with them during my week at Yellowstone. 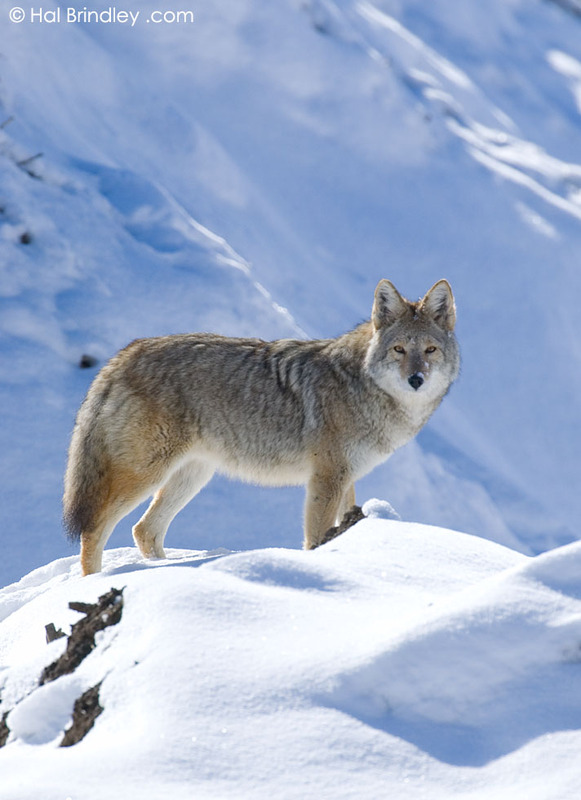 The coyotes in Yellowstone are so big and fluffy, you would be forgiven for assuming they were wolves at first glance. Reason number one why I love coyotes. This individual stood in this perfect pose for a full 3 minutes while I moved to several different distances and set up different compositions. 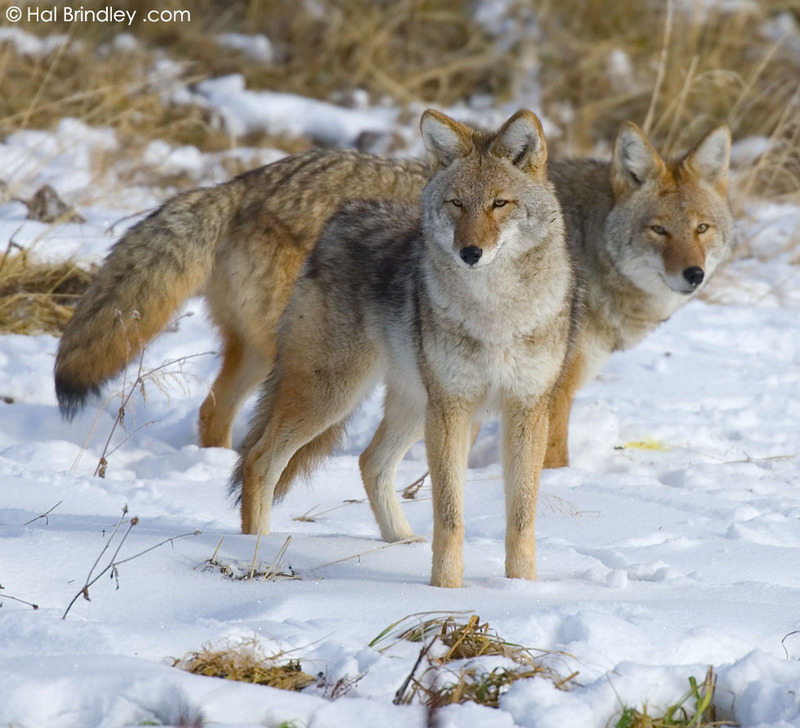 Reason number two why I love coyotes. No matter what they are doing they will always take the time to stop, pause and look back at you. This one is poking around in a pile of mulch. 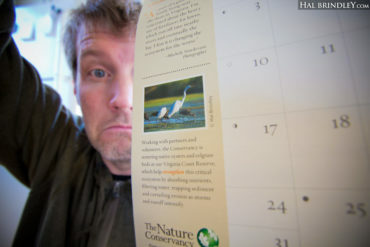 Here’s an example of perfectly awful timing. 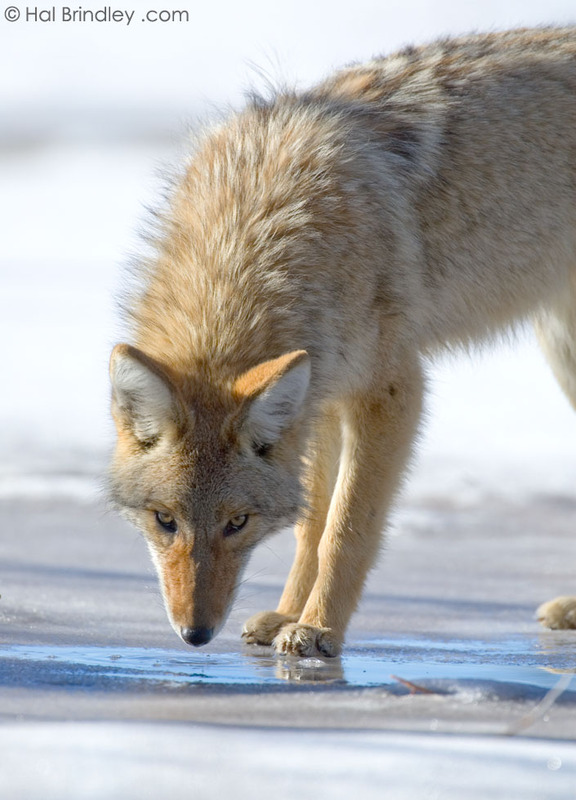 I shot 5 photos of this coyote drinking from a puddle on top of the ice. In not a single one did I catch it with its tongue out. 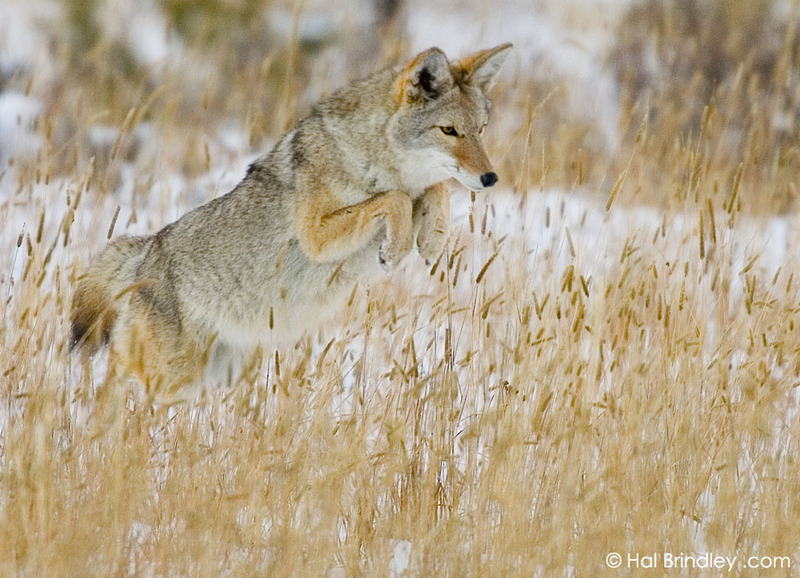 Coyotes seem to always be on the move. Here is proof that they actually do sleep once in a while. I saw this coyote catch three rodents in a span of about 20 minutes. Amazing. 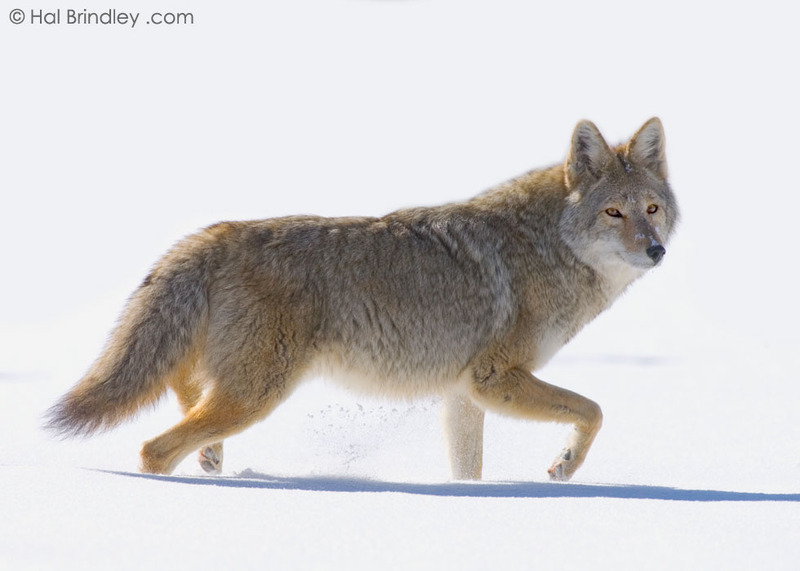 After watching the pouncing behavior of foxes (see arctic and red) I was surprised by the technique employed by coyotes. There is very little vertical leap. Instead it seems to consist of two (sometimes three) long, low bounding motions (shown here). I would think the first jump would scare dinner away, but obviously the method works. 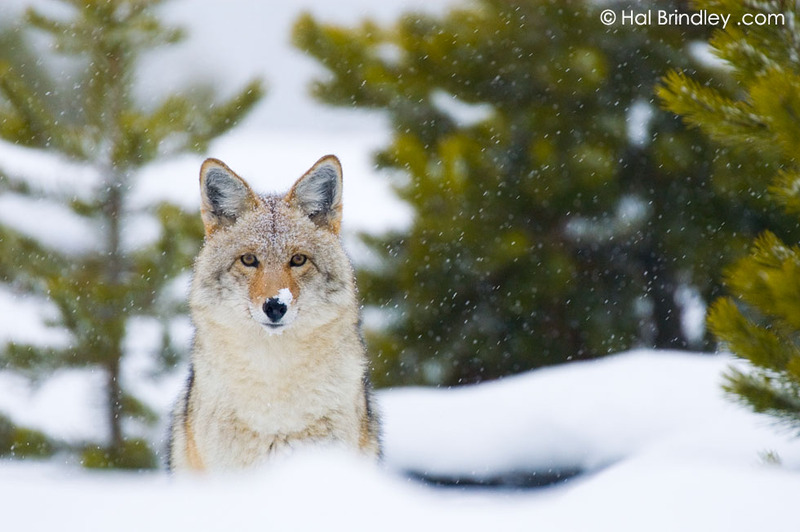 This coyote has a fat belly. This was one of my favorite moments in Yellowstone. 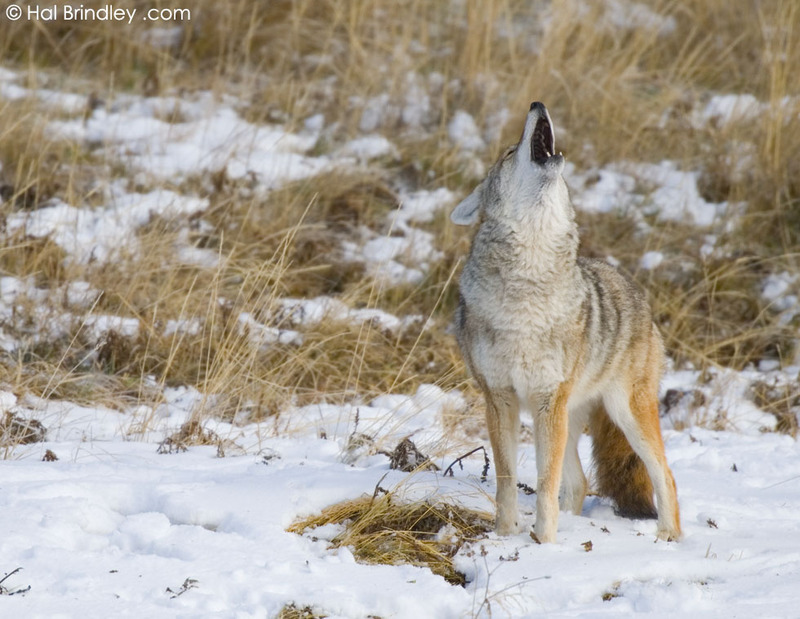 I had the great honor of witnessing, at close range, a group of howling coyotes. It begins with much yip – yip – yapping, then leads into the full-blown classic mournful howl. It is against the rules to elicit this behavior by howling first, but once they got started I had the hardest time resisting the urge to join in. It is infectious. I was pumped up and ready to hunt after hearing it. 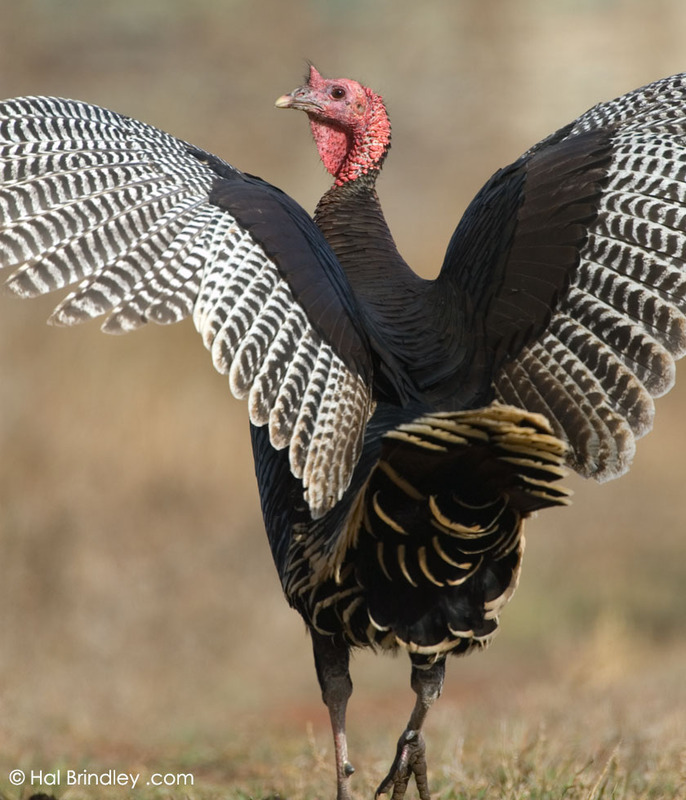 Now I’m going to wrap it up with a wild turkey I shot in Buffalo, Wyoming.